Metro Art Moves Valentine’s Day tour, 2016. From a Shakespearean themed Valentine’s Day art tour to a Mardi Gras music and dance procession, here’s your guide to all the Metro Art events happening in February. Did we mention they’re all free and open to the public? Saturday, Feb. 3: Art tour of Hollywood rail stations from 10 a.m. to noon. Meet at the street level entrance to the North Hollywood Station (Red Line). Sunday, Feb. 4: Art tour of downtown rail stations from 10 a.m. to noon. Meet at the Union Station information kiosk near the Alameda Street entrance. now through Monday, Feb. 5: Metro Art Presents “Life Underground,” an immersive media installation and interactive web documentary featuring subway rider stories from all over the globe. The installation is on view in Union Station’s Historic Ticketing Hall from 7 a.m. to 9 p.m. daily. Saturday, Feb. 10: Art tour of downtown rail stations (en español) from 10 a.m. to noon. Meet at the Union Station information kiosk near the Alameda Street entrance. Sunday, Feb. 11: Art & Architecture Tour of Union Station from 10:30 a.m. to 12:30 p.m. Meet at the Union Station Information kiosk near the Alameda Street entrance. 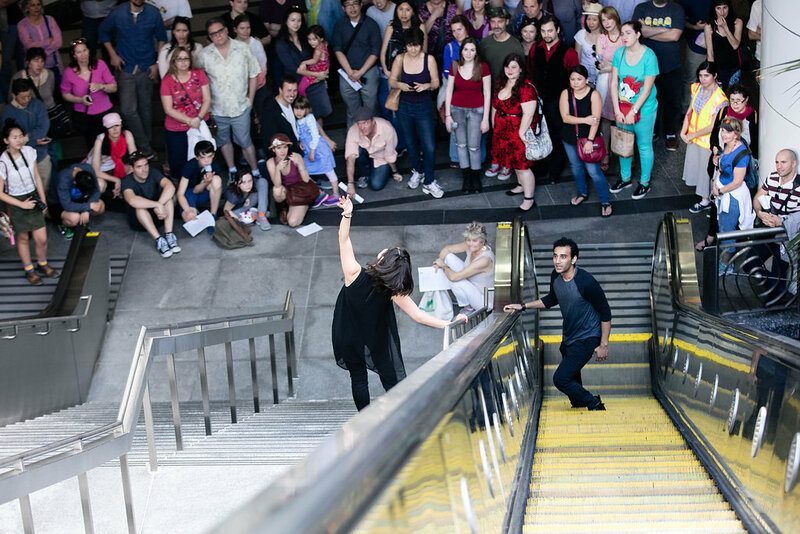 Sunday, Feb. 11: Kick off your Valentine’s Day festivities during a special free Shakespearian themed art tour along the Red Line featuring performances by the Independent Shakespeare Co. The tour will meet at North Hollywood Station at 2 p.m. and end at Hollywood/Western Station at 4 p.m.
Tuesday, Feb. 13: Metro Art Presents the Mudbug Brass Band in celebration of Mardi Gras! Join us for a music procession beginning in Union Station’s East Portal at 4:00 pm. Wednesday, Feb. 14: Celebrate Valentine’s Day night surrounded by music, dance and love in Union Station’s Historic Ticketing Hall from 8 p.m. to 10 p.m. Enjoy a free kizomba dance lesson by award-winning instructor Chris Kizomba followed by dancing, accompanied by live music from Ricardo Lemvo y Makina Loca.